DISCLAIMER: This album was provided to us for review. From her own bedroom, Jen Gloeckner brings her fantastical dreams on a boat drifting to the world, at least that’s what is to be suspected from her first album in 7 years. Vine mixes electronic sounds, orchestral instrumentation, and her own sultry yet strong voice. What people get from the album, however, depends on what grabs you, as Vine is about duality: where everything comes together perfectly and when it does not. The titular song, “Vine,” begins the album with mysticism, playing around with a harp over electronic murmurs. It also brings in a decent collaboration with Gloeckner herself, and a solo piano. This song, however, is not overly interesting for an opening song. In addition, I just wish the lyrics were more interesting to hear, given that most of the song is taken up by them. “I’m alright without your love” is not particularly powerful when spoken about a relationship that is not yet familiar to the listener, and there is not much in the rest of the lyrics to get a clearer picture. “Firefly (War Dance)” annoyed me. The song plays with a lot of different sounds, including Native American chanting echoing in an industrial landscape. It feels like the song was put together to make interesting sounds, but there is a strong lack of emotional significance. There is no indication of danger, confusion, overwhelming tide, or much of anything really. I find that quite a few of the early songs in Vine have many moments that are a joy to experience, but not always to their entirety. “Ginger Ale” has a chorus that would make every Enya fan cheer with nostalgia, with beautiful hymns surrounded by the sound of serene violins. However, it’s a shame that Gloeckner’s sharp voice doesn’t fit very well with this kind of atmosphere. “The Last Thought” has a positively joyous chorus that sounds like Gloeckner is a child on a swing, but the lyrics around it seem to say otherwise. “Blowing Through” took me by surprise, as it was light on the production and gave more of a folksy vibe than anything else. On top of that, the song focuses on the more traditional Americana take on folk, which is not too often done from indie acts that focus on electronic and dreamlike music. With “Blowing Through,” Gloeckner proves her bravery in jumping into different genres and making the most out of the best aspects of them. It’s weird, but Vine does get better nearing the latter half of the album. After “Blowing Through,” “Counting Sheep” is a late evening moment of reflection, where Gloeckner’s voice blends perfectly with the music that drags you along with her. “Prayers” takes the apathy that I was critical about earlier with a sense of self-awareness, focusing on unanswered questions coming from the senses of the world. By that point, I was hooked in and ready to see what was next…better late than never, I suppose. 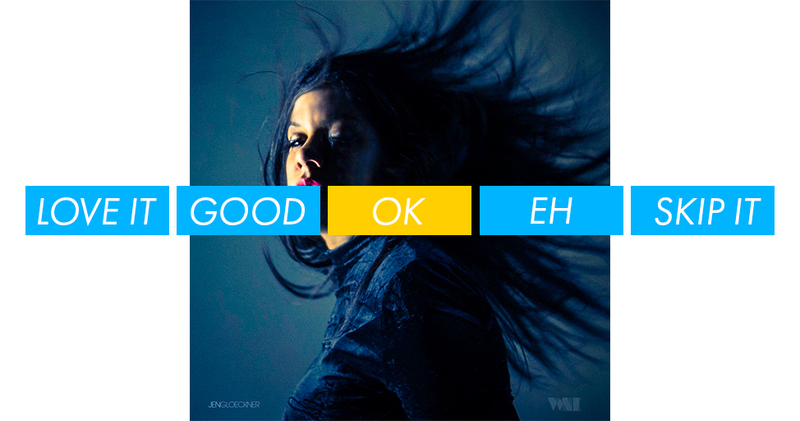 Jen Gloeckner’s quite a talented performer and the amount of instrumentation mixed in with genres of every kind is beyond impressive; but the arrangement of the album has done a great disservice. I don’t think any of the songs in the first half are a great presentation of her overall skills. What’s left is a mixed bag of unfulfilled potential and the moments when the expectations are met. In the end, Gloeckner is an exciting star that I hope we see so much more from. Vine just bursts with talent from an exciting singer, but it takes patience to see the best that is offered. OK.